DocBook WebHelp UI features by screenshots! I wrote this blog post to show some of the UI features provided by DocBook WebHelp. So, following is a set of screenshots I took which which is how webhelp will look like in the next release. The next release would probably be versioned as 1.77.x. These are taken from revision r9240 on 2012-03-16. 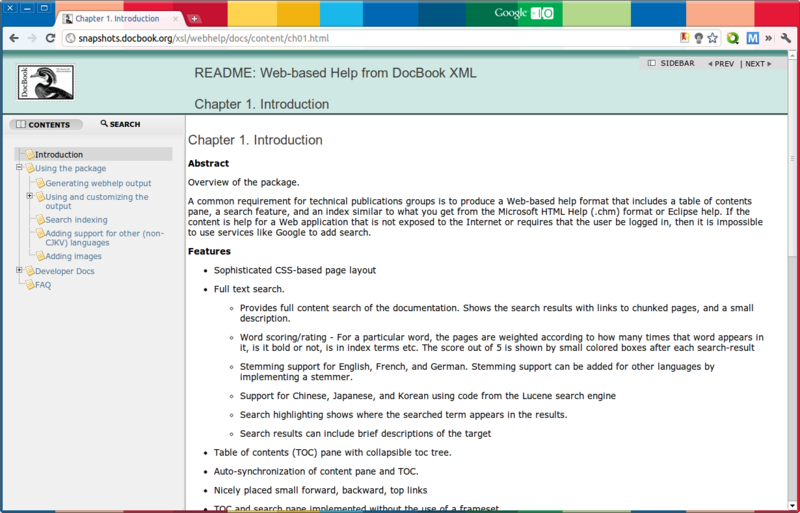 You may download the latest snapshot from DocBook snapshots site. You may download the latest release here. 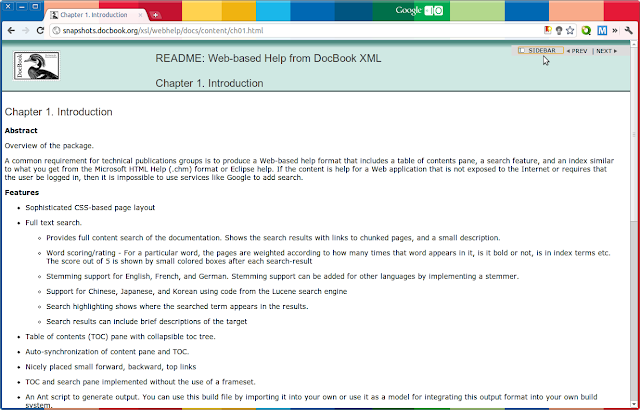 A chunked output page docbook webhelp. It includes a header in top with a company logo, Contents, and Search panes at left side; the real contents in the right larger section; And some minor but useful features at top-right corner. The browser is Chromium/Google Chrome 16. Click on the screenshot for a larger view. You may hide/unhide the left sidebar by clicking on SIDEBAR at top-right corner in the page. Isn't that a easier way to read the contents? or do you prefer the default way? For larger monitors the effect is minimal! A zoomed view the Contents pane in left. 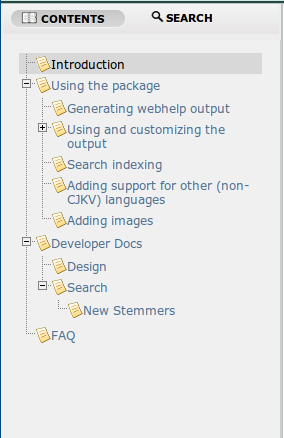 This shows the Table of Contents of the documentation, broken down by chapters/sections. You can configure the number of tree levels if you think it's necessary. 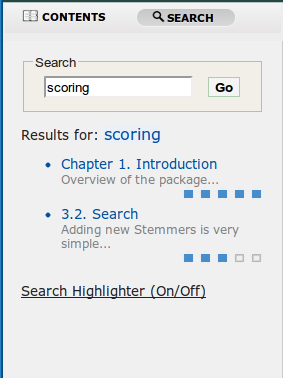 Plain search view. 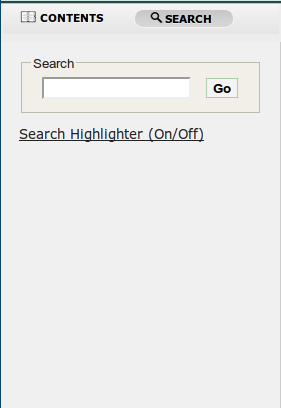 You can turn on/off the Search Highlighter provided. Try it yourself! A typical search results section. Read here to understand how the search result summaries appeared! And, we provide search scoring/rating mechanism for better searching. A search with several words. WebHelp displays the results for the whole query, as well as for individual words which is nicely sectioned as shown above.